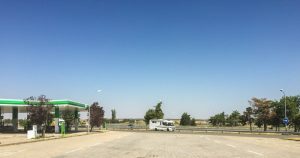 Due to the forecast temperature and our disappointment in the campsite we decided to leave this morning rather that stay and go into Salamanca. As a result we packed up and left just after half past nine. 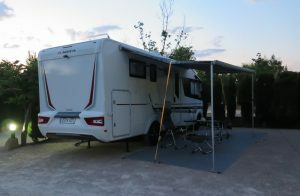 We left the campsite and traced our route back to the motorway and followed the ring road around Salamanca and we joined the A50 motorway heading towards Avila. As we travelled down the motorway we saw the cathedral of Avila towering above the spectacular town walls. 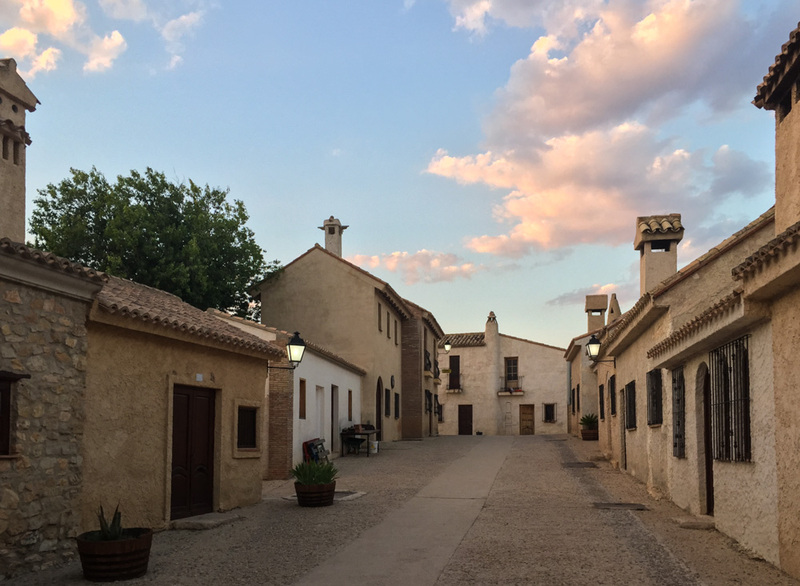 This is certainly a city that we have added to our must visit list and it was truly incredible to see. 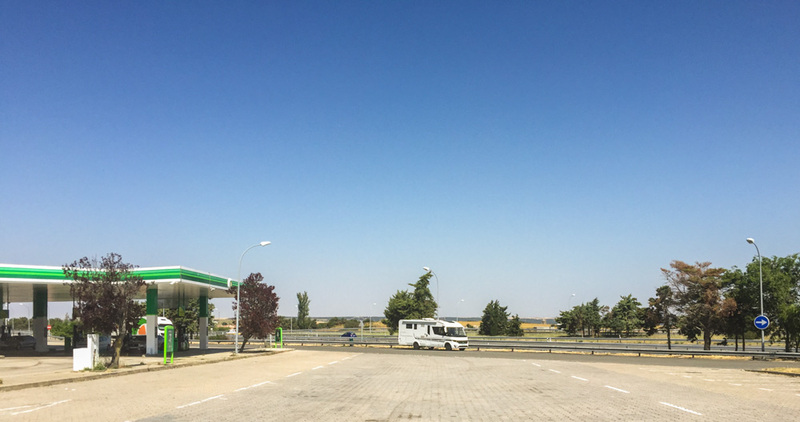 We then joined the AP51 motorway and were looking for somewhere for coffee but there were no services on this section of motorway, luckily it was fairly short and we then joined the AP6 motorway in the direction of Madrid and found a service area here for coffee. 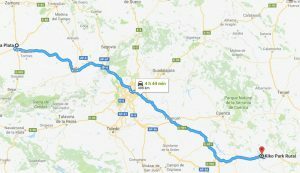 We followed the satnav route to the outskirts of Madrid where it became fairly busy and we drove underneath the cable car that runs across Madrid. We then joined the M30 inner ring motorway and were surprised that this was a 3 lane in each direction underground motorway with a 70kmh speed limit. The satnav lost its location needless to say as it couldn’t get a position signal. 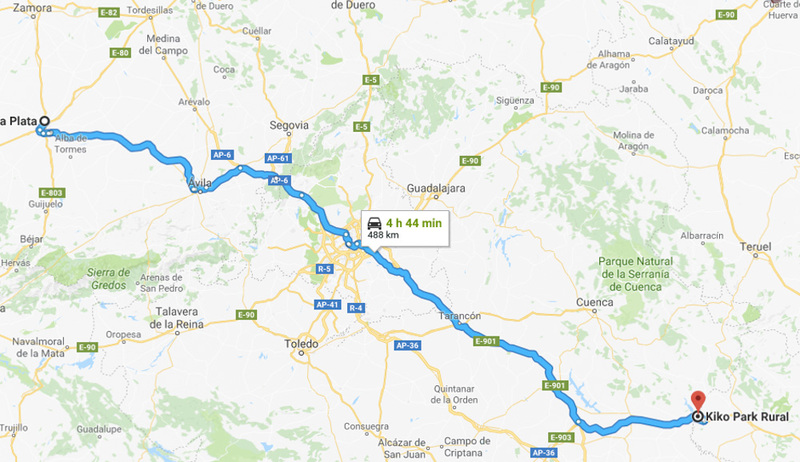 We were surprised after about 12-15km the satnav suddenly announced take the next exit in 2km, sure enough 1km later the first sign appeared for the A3 towards Valencia, very impressed with the CoPilot satnav. 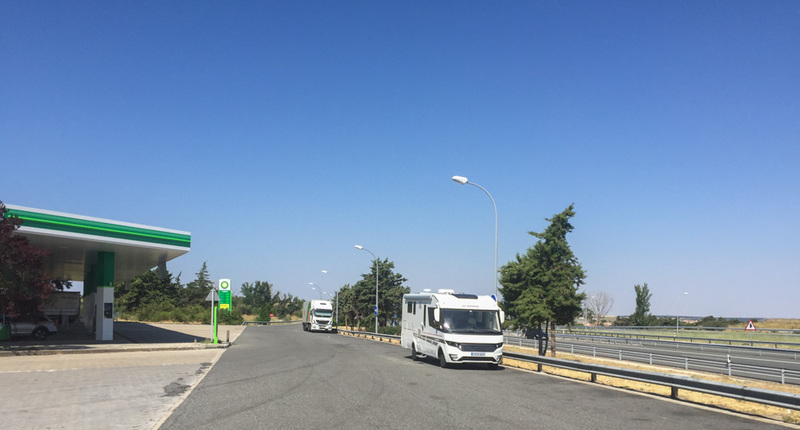 We joined the A3 motorway and as it left Madrid it was a rough concrete road surface, luckily this didn’t last for long and soon became relatively smooth tarmac. We stopped at the A77 service area for lunch and it was excellent. They had home-made cakes in a chiller cabinet and so we decided to treat ourselves to a piece each of Santiago tart for me and an apple tart for Ingrid. The barman cut us off huge pieces and wrapped them up for us. They went in the fridge in the motorhome for afternoon tea after we arrived at our next stop. 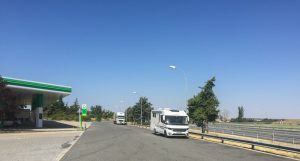 We rejoined the A3 and continued towards Valencia and went over the huge bridge over the dammed lake near the campsite, the water level in the lake was even lower than I remember from last year. We turned off the motorway shortly afterwards and went into Villargordo del Cabriel and the on to Kiko Park Rural arriving at just after 4pm. We checked in and were offered the same pitch as we had last year or any other that was vacant. As last years pitch was convenient for the wash block and the restaurant that is where we set up. 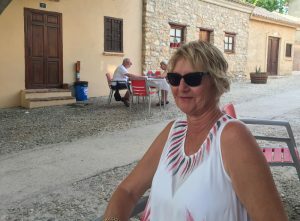 We then had afternoon tea and the cakes we had purchased at lunchtime. 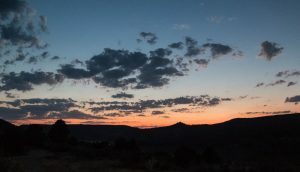 The temperature outside the motorhome was 36 degrees and inside was 38 degrees, a most uncomfortable temperature. 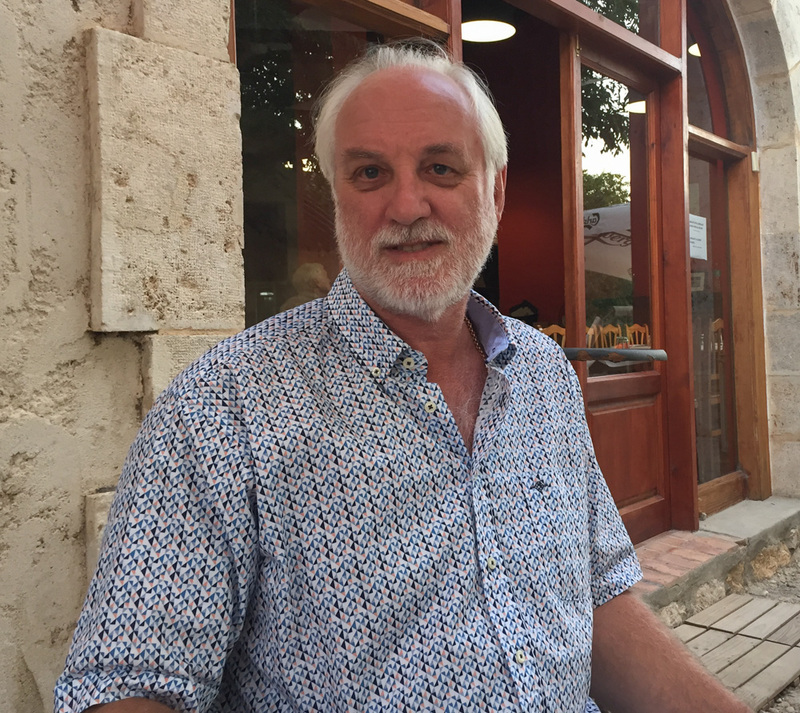 After showers we went to the restaurant and had a good meal that was unfortunately spoilt by the large number of flies that bombarded us and so we rather rushed our dinner. After coffee we returned to the motorhome and sat outside with a nice nightcap.